Want to visit all the must-see Lisbon sights in one day? 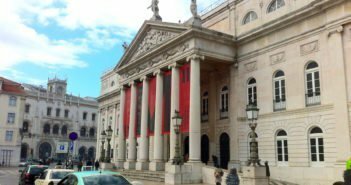 Here’s a step by step itinerary to help you see the most important attractions in Lisbon if you’re pressed for time. If you can take more than a day, you should include a day trip to the beautiful village of Sintra and the seaside resort of Cascais. 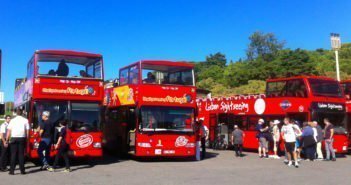 This one day itinerary will help you see the main attractions. Because you can’t leave Lisbon without enjoying an evening of fado, it will guide you to find a fado restaurant to end the day. 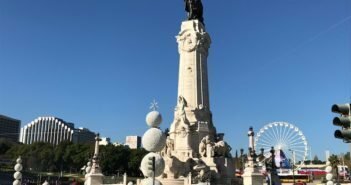 Go to the Martim Moniz Square early in the morning to guarantee a place on tram 28 (or 28E where “E” stands for “Eléctrico”, the Portuguese word for tram). 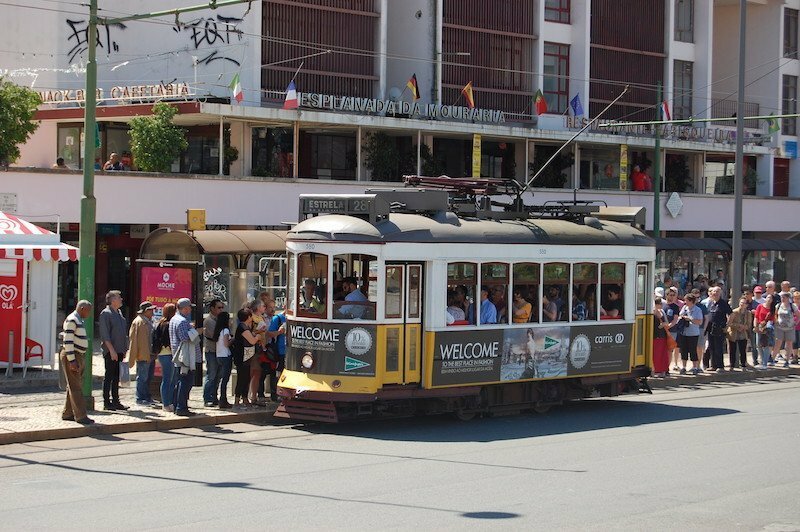 The tram will take you on a ride covering some of the most scenic corners of Lisbon. 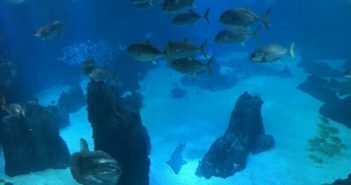 To save money, use your Viva Viagem card. The queues for tram 28 can be long if you don’t arrive early – even off season you may have to wait 20 minutes or more to get into the tram. 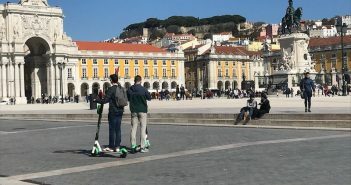 An alternative is the shorter ride on tram 12 (or 12E) from Praça da Figueira, which makes a circular route from Praça da Figueira, past Martim Moniz, and climbs the castle quarter. If you take tram 28, you’ll cross the historic centre towards Basílica da Estrela where you can visit the church built in the Neoclassical and Baroque styles. Climb its dome for a panoramic sweep of the city (admission €4, open 9.30am-12pm and 2pm-6.30pm). 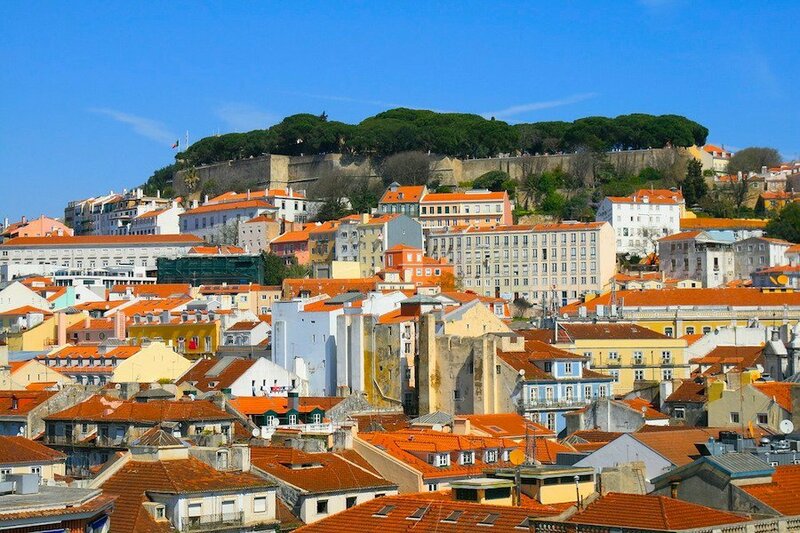 Whether returning on tram 28 or going on tram 12, hop off either at Largo das Portas do Sol or the nearby Miradouro de Santa Luzia, considered one of the most beautiful viewpoints in Lisbon. 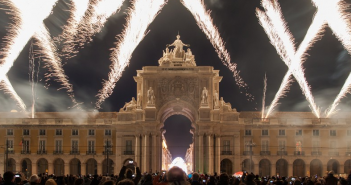 Admire the panoramic views and the blue-and-white azulejos (tile panels), depicting the Terreiro do Paço (which you’ll visit in the afternoon) before the great earthquake of 1755. Head to the ramparts of the Castelo de São Jorge to visit the medieval castle. 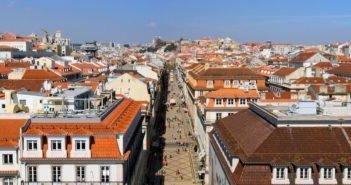 Stroll the picturesque narrow and maze-like streets of Alfama on your way down to the Baixa neighbourhood. In Baixa, window-shop on Rua Augusta. 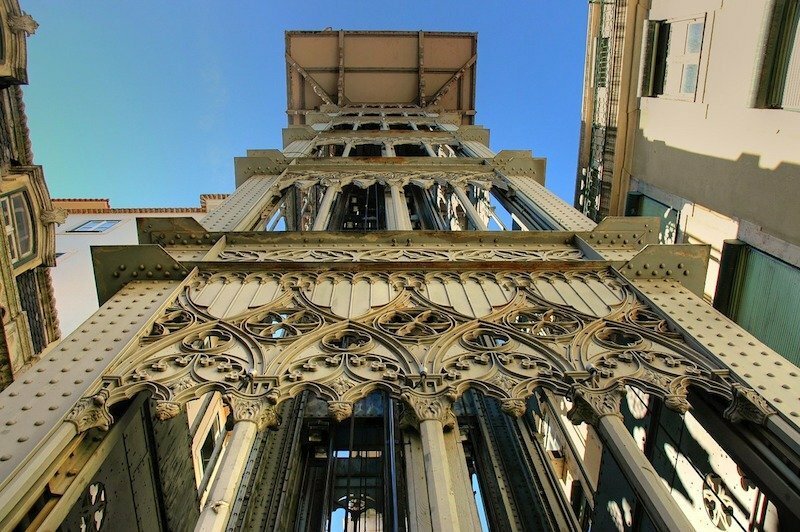 Admire the wrought-iron tower known as Elevador de Santa Justa. There is usually a long queue to go up the lift. Some people don’t think it’s worth the wait: the journey is very short, and you may get a similar view by walking up to the Convento do Carmo. On your way there, window shop on Chiado’s Rua do Carmo and Rua Garrett where you can still find century-old establishments. There’s an endless selection of places to eat in Chiado. Head to the riverside Terreiro do Paço. Visit the square and take tram 15 to Belém. 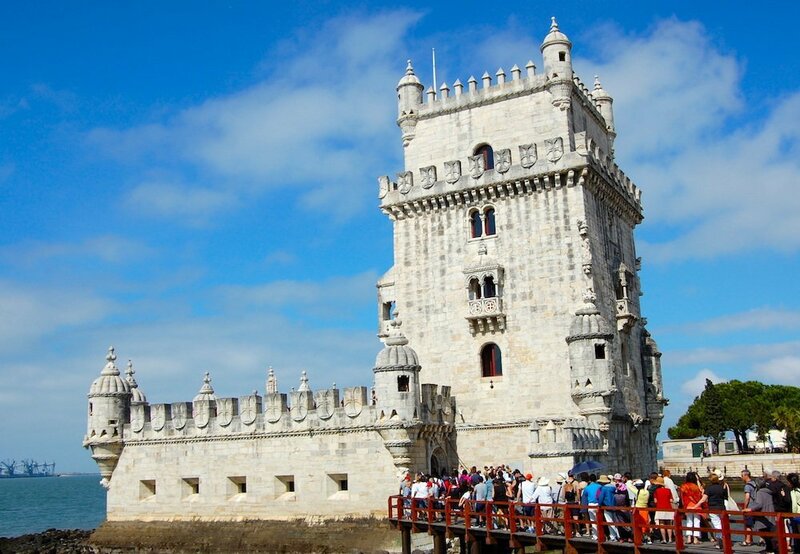 You may want to visit Belém Tower first, when it’s closer to lunchtime, since the queues tend to be longer here. You’ll visit the amazing Jerónimos Monastery afterwards. Buying a combined ticket gives you access to these two monuments plus the Archeology Museum. Admire the caravel-shaped Padrão dos Descobrimentos (Monument to the Discoveries) on the natural route along the waterfront to the peculiar Belém Tower. 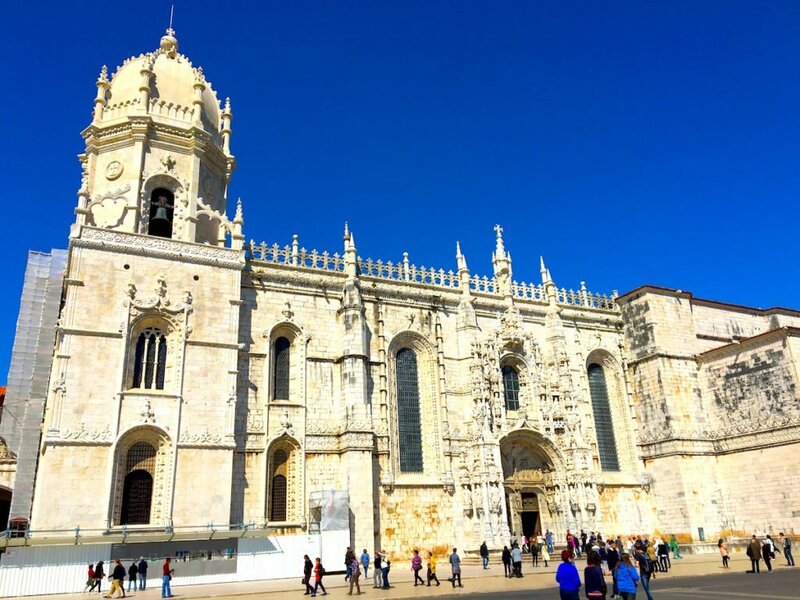 Go back to the Belém gardens and admire the UNESCO-listed Jerónimos Monsatery. You’ll have time to visit the Church of Santa Maria (free) and the Cloister, and possibly the Archeology Museum. After visiting the Monastery, enjoy a pastel de nata (custard tart) at Pastéis de Belém. 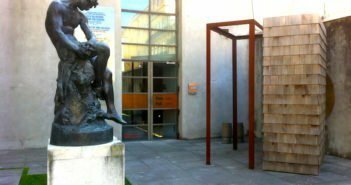 Head for CCB (Centro Cultural de Belém), Lisbon’s most important cultural centre, to admire the building and, if time allows, visit some exhibition before taking tram 15 back to Terreiro do Paço. The Bairro Alto neighbourhood is known for its lively nightlife and for being an important fado stronghold. Just wander the tangle of cobblestone streets before finding one fado restaurant. If you prefer, go back to Alfama, where the song is said to be born, for a memorable night out of fado. Then, bar crawl like a local (if you still have the energy! ).